Washington, D.C. — U.S. Secretary of Transportation Elaine L. Chao discussed the advances the Department has made in addressing regulatory reform, discretionary grant programs, and the technology of the future at the American Association of State Highway and Transportation Officials (AASHTO) Annual Meeting in Phoenix. The Department has proposed a regulatory change, sent to the Federal Register, which will harmonize FRA’s environmental review process with the Federal Transit Administration and the Federal Highway Administration. This would ensure that multi-modal projects have to follow only one process, rather than multiple agency processes. In addition, it would exempt most concrete and steel bridges built after 1945 from historic sites review, under section 4(f). The Department issued updated guidance regarding the application of categorical exclusions for multimodal projects. One DOT agency can now use the categorical exclusions of another DOT agency for certain multimodal projects. This change will expedite the environmental review process for these projects so infrastructure can be delivered more quickly. The Department has also changed its highway reimbursement policy to allow states to buy safety equipment directly. It will give states and localities the freedom to use federal safety funds to purchase, rather than just lease, construction and safety equipment. This change should prove especially useful in rural areas that have limited resources. The Department plans to soon publish a Federal Register notice soliciting a new round of applications for the Interstate System Reconstruction and Rehabilitation Pilot Program. 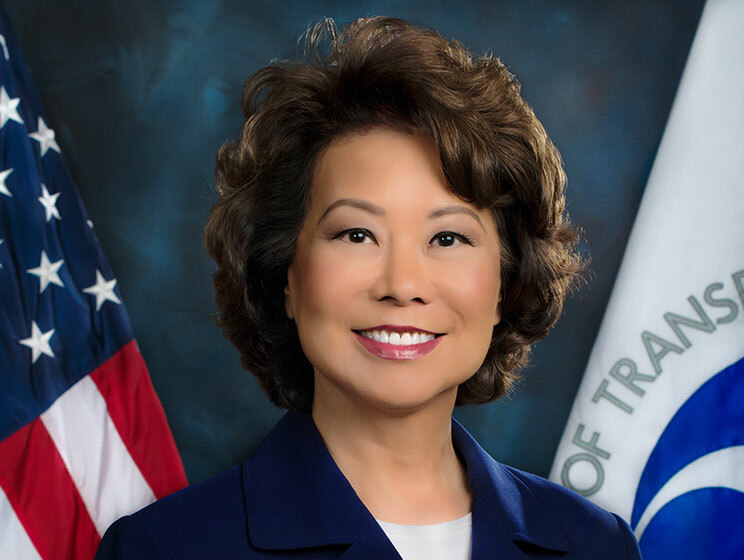 The speech comes one month after Secretary Chao joined President Donald J. Trump as he signed an Executive Order that will streamline the permitting and review processes for infrastructure projects. The Executive Order, entitled, “Establishing Discipline and Accountability in the Environmental Review and Permitting Process for Infrastructure Projects,” streamlines our environmental review system and removes current roadblocks in order to ensure a faster and more efficient permitting process for America’s major infrastructure projects.